The strength of a game-playing program is mainly based on the adequacy of the evaluation function and the efficacy of the search algorithm. 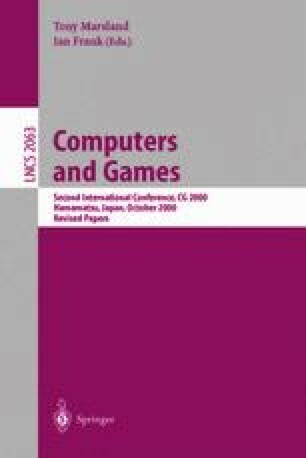 This paper investigates how temporal difference learning and genetic algorithms can be used to improve various decisions made during game-tree search. The existent TD algorithms are not directly suitable for learning search decisions. Therefore we propose a modified update rule that uses the TD error of the evaluation function to shorten the lag between two rewards. The genetic algorithms can be applied directly to learn search decisions. For our experiments we selected the problem of time allocation from the set of search decisions. On each move the player can decide on a certain search depth, being constrained by the amount of time left. As testing ground, we used the game of Lines of Action, which has roughly the same complexity as Othello. From the results we conclude that both the TD and the genetic approach lead to good results when compared to the existent time-allocation techniques. Finally, a brief discussion of the issues that can emerge when the algorithms are applied to more complex search decisions is given. The authors thank the referees for their constructive comments and suggestions for improvements.